Susie Orman Schnall’s The Subway Girls tells a story unlike any you have ever read before. I mean, have you heard of the Miss Subways beauty contest? I certainly hadn’t until this novel fell into my lap. I’m fascinated by history. I debated on getting a degree in history in college before deciding on English Literature and Cinema Studies. I find the time period from the end of World War I to the end of World War II endlessly fascinating. I’m always researching and reading as much as I can about it because I’m interested in all of the cultural norms and shifts that happen in those years. Not only that, but I’m most intrigued by women’s roles in all of it. I read a ton of historical fiction, especially in the aforementioned period. I read anything and everything that I can get my hands on. So why is it that I’m just learning about this aspect of American history now? Why hasn’t more focus been put on the beautiful, intelligent, and driven Miss Subways? Sure, it was a very isolated campaign, taking place in New York from 1941-1976 to promote use of the subway system (as well as increase “eye traffic” to all of the other MTA advertisements). But Miss Subways was so much more than a beauty contest. Not only were its entrants limited to those who looked like “The Girl Next Door” (rather than an outright super model), but the advertisements also featured notes about the women’s aspirations and hobbies. That and a requirement for all contestants was them having to use the New York City subway to get around the city. Though they weren’t always accurate (as The Subway Girls can attest to), the notion that these regular women were chosen for more than just their looks feels almost anachronistic. If it weren’t for The Subway Girls, I don’t know how far I would’ve gotten in life without learning about these incredible women. The two main characters in this book may be fictional, but their stories are very real. 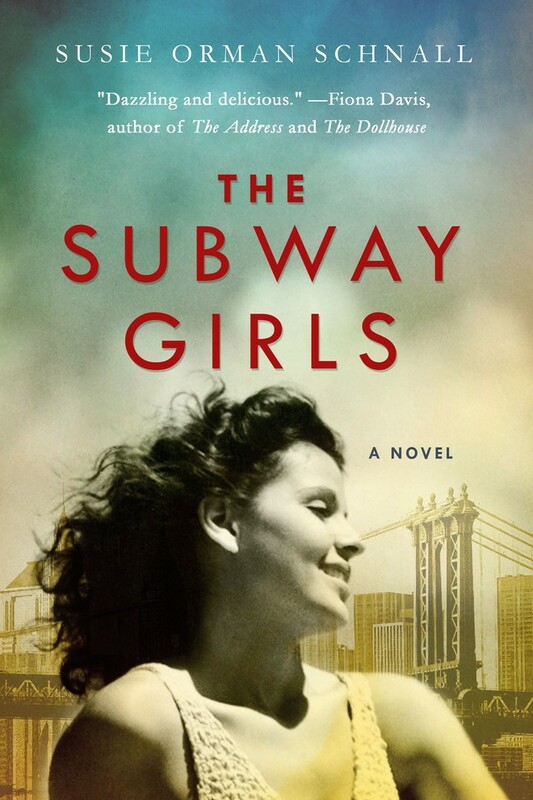 Told from the perspective of a 1949 Miss Subways contestant and a modern day woman working in advertising, The Subway Girls is a story of strong women facing and overcoming obstacles while working toward their dream careers. Though they may be living in different times and dealing with different types of glass ceilings and sexism, they stop at nothing to achieve the things they want most. Charlotte, a young ambitious woman living in 1949 New York City, wants nothing more than to work in advertising. She knows it’s a long shot, but she does everything in her power to set her on the path to her dream. But societal expectations and her father’s expectations create more than a few bumps in the road. Though it’s not really her style, winning the Miss Subways contest could change her life forever. Olivia, on the other hand, is a modern day ad executive living and working in New York City. Though she’s working in her dream field, she finds that she constantly has to prove herself and overcome subtle (and overt) misogyny. But, when she’s tasked with making the pitch of her life, looking to the past and the amazing Miss Subways could be just the thing to get her where she wants to be. It’s hard not to love both of the women in this novel. Though they come from different backgrounds and decades, both Charlotte and Olivia are highly intelligent, fiercely independent, and have an infectious drive. 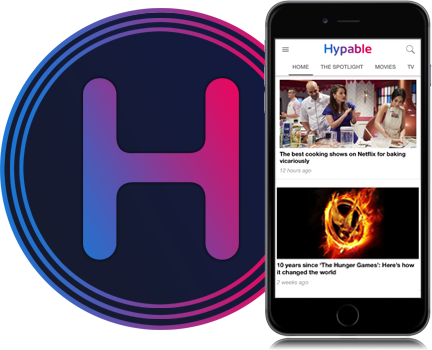 They’re passionate about advertising and would do anything for the people they love, even when it might not be the most pleasant. Though I knew that the women would have a lot in common when I started the novel, I didn’t realize just how career-driven and motivated Charlotte would be. I went into this novel thinking that she’d be more of a stereotypical 1950s homemaker-like girl rather than a post-WWII woman who wanted to work but couldn’t. So I was pleasantly surprised to read about how much Charlotte was interested in advertising and how little she was interested in marrying young. It’s almost jarring to realize that the novel isn’t taking a modern view of Charlotte’s story; it’s just that the view of a hard-working woman in 1949 hasn’t been a common one. Charlotte’s drive and independence is underscored by the dual narrative of this novel. By writing The Subway Girls from two separate perspectives and two entirely different decades, author Susie Orman Schnall draws important parallels between the lives of these two women that might not be obvious otherwise. A lot of times, I found myself pausing while reading The Subway Girls because I realized another aspect that Charlotte and Olivia had in common, which was interesting given my initial assumption about Charlotte’s character. I could relate to how diligently and passionately Olivia worked at her craft, which then made me realize that Charlotte was doing the same thing almost 70 years previously. Another interesting byproduct of the dual narrative is, because Charlotte’s story takes place almost 70 years before Olivia’s, we as readers are viewing the story through two knowledge bases. Olivia’s story is heavily dependent on Charlotte’s in a lot of ways, which means that we’re able to see some of the surprises and twists coming before Olivia does. Charlotte’s story helps us fill in some of the blanks and solve some of the mysteries of Olivia’s story ahead of time so that we’re able to enjoy the ride instead of wondering where the story is going to go. However, we don’t get the same amount of foreknowledge for Charlotte’s story. Though we’re able to see how a few things end up and make a few guesses about where Charlotte’s story is going to go given the information we have from Olivia’s story, the majority of the 1949 plot remains a mystery and keeps us guessing. Alternating between knowing and not knowing, as well as guessing and expecting certain story elements, makes for a really engaging and entertaining read. Speaking of entertaining, I found all of the scenes directly dealing with the Miss Subways contest to be really fascinating and attention-grabbing. I seriously can’t believe that I had never heard of this contest before reading The Subway Girls. Sure, it was isolated to the New York metropolitan area, but, given how famous it was in that area and how long it lasted, I would’ve thought I would have come across it at some point during my 27 years. From the scene where the July 1949 Miss Subways contestants meet each other (which reminded me a bit of A League of Their Own) to Olivia’s Miss Subways 2.0 pitch/presentation toward the end of the book, the contest always feels like so much more than a beauty contest. It feels like an exciting opportunity that could truly forever change the lives of the women involved. I really appreciate all of the research the author did into the campaign, as well as all of the winners, in order to do the story and the women justice. Thanks to this novel, I’m inspired to visit the New York Transit Museum (where they have an exhibit on the Miss Subways) as well as read all I can about the subject. The Miss Subways contestants were normal people, just like you and me, who were just wanting to try something new and exciting. Who wouldn’t want to learn more about that? Though I loved the two main characters and was fascinated by the gender politics they had to endure on a daily basis, my one *tiny* complaint about this novel is that the “twist” involves one of my least favorite plots. I was hoping the novel wouldn’t go down that route because I was really enjoying it but, given that it did, I will say that the resolution is definitely satisfying and, in a lot of ways, unexpected. So while I may not personally be a fan of the trope, I’m a fan of the way it’s handled here and the character moments that arise from it. The Subway Girls is as empowering as it is eye-opening. Whether you’ve known about the Miss Subways contest for years or are just hearing about it for the first time, if you enjoy well-written stories of love, sacrifice, and highly driven women, you’ll want to pick up a copy of this beautiful novel. ‘The Subway Girls’ by Susie Orman Schnall is available now from Amazon, Barnes & Noble, and your local independent bookstore. Also, don’t forget to add it to your Goodreads ‘to read’ list!